Early 1900s photograph album that belonged to the family of Hervey Daniel Foss and Mary Sutherland (Hinkley) Foss, Maine natives who lived in Melrose, Massachusetts. 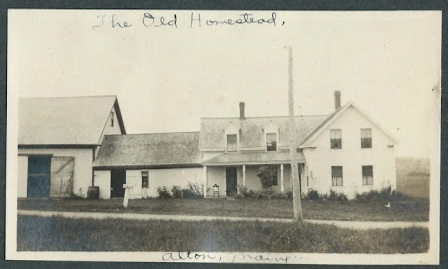 Hervey was born at Hancock, Maine; and Mary, at Alton, Maine. 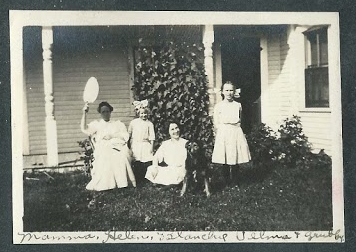 The album measures approximately 10" by 7" and contains 229 photographs of people and scenery in Massachusetts, Maine, and New Hampshire, where the family had a camp. 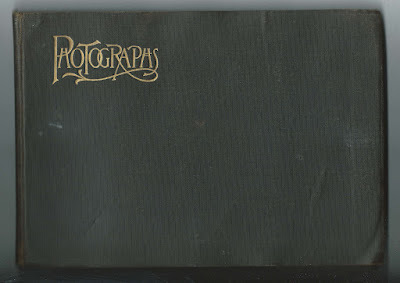 Sadly, most photographs are not identified. See a list farther below of identified people. 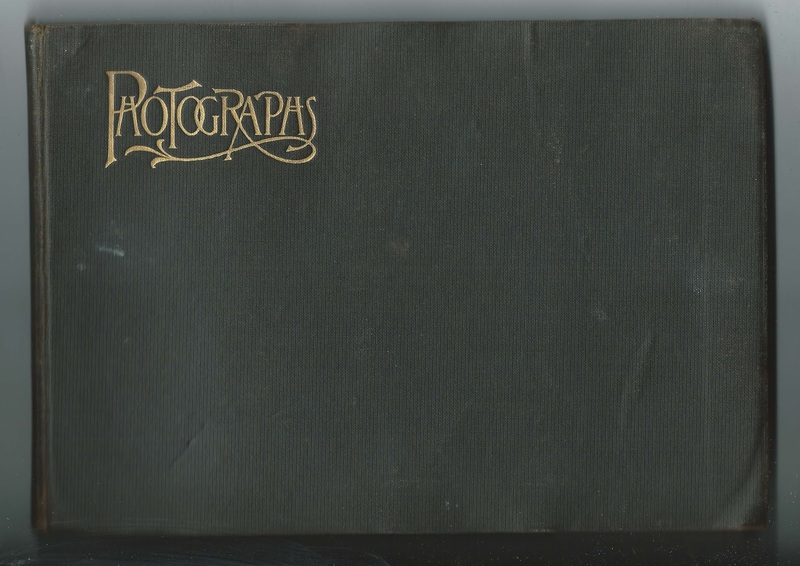 See an earlier post that features the photograph album of their daughter Eleanor Frances Foss, which contains 168 photographs. 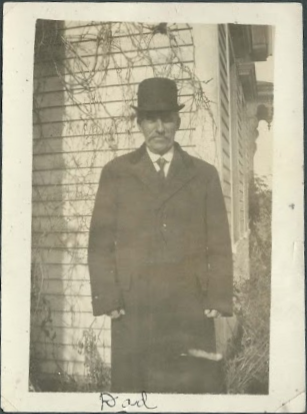 On September 12, 1911, at Bangor, Maine, Mary married Hervey Daniel Foss, son of Augustus B. Foss and Angie Nettie (Springer) Foss. 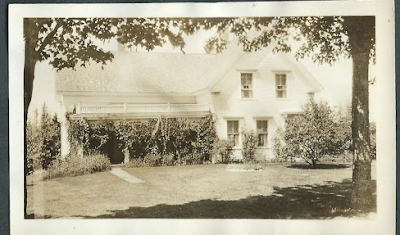 Hervey and Mary moved to Melrose, Massachusetts, and had two children, Eleanor Frances Foss and Sheldon H. Foss. 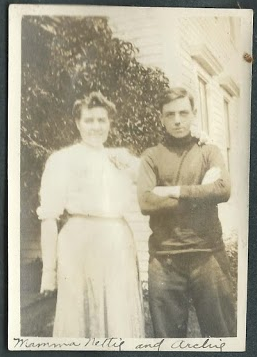 Hervey Daniel Foss and Mary Sutherland (Hinkley) Foss died in the 1970s, are buried at Riverside Cemetery at Hancock, Maine. Mary and "her girl". I'm not sure if this is a photograph of Mary Sutherland (Hinkley) Foss and daughter Eleanor or a different Mary and daughter.